As far as compact SUVs go, the Audi SQ5 feels like a textbook example of how to make cars. It’s sleek, sophisticated, and somehow looks like an Apple phone – clean and just right. Making something wacky out of it requires some thinking and creativity. In this case, Lumma, a German tuning company, took it upon itself to craft a customization package trying to awaken the buried raw character hidden behind its SQ5 badge. Audi first began production of the compact Q5 luxury crossover in 2008, with the latest second-generation model dropping in 2016 at the Paris Motor Show. Now, there’s a new long-wheelbase iteration, which just debuted at the 2018 Beijing Motor Show to offer Chinese buyers enhanced cabin space and more comfort. 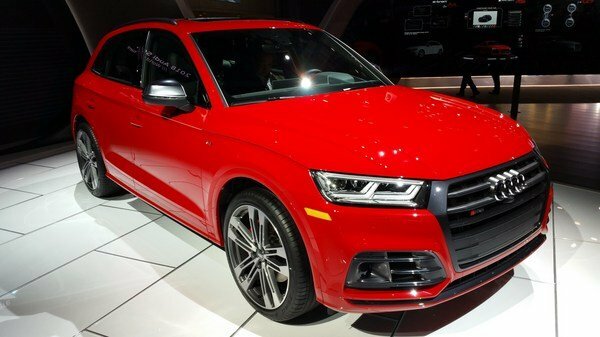 Continue reading to learn more about the 2019 Audi Q5 L.
Audi did surprise us. We all thought that Audi was going to finally unveil the Q8 SUV at the Beijing Auto Show. It turns out; we were only half-right. The German automaker is unveiling an SUV in Beijing; it’s just not the Q8. Instead, we’re being treated to the world debut of the new Q5L, a longer version of the Q5 that’s aimed specifically at the Chinese market. There are lots to talk about with regards to the Q5L, but the most important thing is its size. The Q5L, among other things, is the first-ever Audi SUV to be offered in an “L” version. Quick! Which Audi model just got a reduced curb weight, bump in engine output, and a few updates to its legendary, motorsport-derived AWD system? Surprisingly, I just described some of the new stuff on the German brand’s compact SUV, a.k.a. the Q5. First up, thanks to the utilization of materials like high-tensile strength steel and aluminum in the body, the Q5 cuts upwards of 200 pounds from the curb weight, depending on the trim level. And that’s on top of an increase to the Q5’s exterior dimensions, by the way. Next up is the drivetrain, where we see the inclusion of something called “ultra technology” to the quattro AWD system. Equipped as standard on models sporting a 2.0-liter TDI oil burner (and offered as an available option on the 150-horsepower diesel trim), ultra tech essentially ups fuel mileage by disengaging the rear axle while cruising, transforming the Q5 into a front-wheel driver. The rear axle will then automatically reengage when more traction is called for, making for a nice mix between FWD efficiency and AWD grip. No word yet on whether or not U.S.-spec models will get ultra technology, but it’s doubtful considering the only engines offered here will be the gas units. Further AWD upgrades include torque vectoring tech, new driving modes for a little soft-roader action, and a sportier rear differential for models equipped with a diesel V-6 engine. Speaking of engines, Audi says it’s making the various powerplant options both more powerful and more efficient. There will be four TDI specs and one TFSI engine on the table, but again, don’t expect the diesels to make it to these shores (thanks, Dieselgate). All in all, we can expect up to 27 extra ponies, plus a substantial increase to mpg. The 2.0-liter turbocharged gas burner, for example, will produce 252 horsepower (up from 220 horsepower) and return nearly 35 mpg (up from 27 mpg on the highway). A pair of heavily camouflaged SUVs were spotted making the rounds in Hackensack, New Jersey by an eagle-eyed member of the Bimmerfest forum. 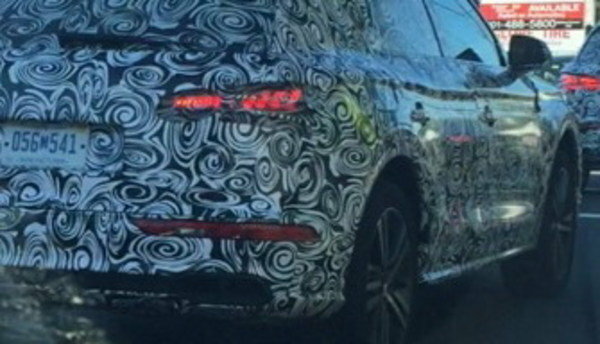 Initially, “zombie99” thought that the SUVs were BMW X3s, but upon checking the photo and comparing it to previous spy photos of the BMW crossover, he may have confused them with the Audi Q5, which they really are. Still, great work on capturing the wrapped up Q5s. Based on past experience, most people would think that the two Q5s were just the victims of a well-orchestrated prank. To be fair, other members of the forum also pointed out that they thought the two SUVs looked more like the Q5 than the X3. But we took it a step further and examined past spy photos of both SUVs and there really is a big difference between the two, especially in the rear section, the same area that’s shown in zombie99’s photograph. One of the things that’s visible in the new BMW X3’s rear section are the circular taillights. In fact, two sets of spy photos, taken in November and December 2015, respectively, both show the X3 with circular taillights, small park lights, and dual exhausts. The shoulder lines on the X3 are also not as pronounced as the two SUVs you see in zombie99’s photo. By comparison, past spy photos of the Audi Q5, taken in August 2015, show plenty of similarities to the ones that were spotted in Hackensack, New Jersey. The taillights are similar, as are the other set of lights located on opposite ends of the rear bumper. The SUV in the front also shows a similarly configured exhaust and diffuser compared to the other spy photos we’ve seen of the Q5 and the SUV in the back clearly shows distinctive shoulder lines, just like the one found on the spy photos of the test mule in Spain last August. So yes, we believe these two SUVs are Audi Q5s, but as to why they’re doing some test runs in New Jersey is another matter entirely. Another member of the forum indicated that two Q5 test mules have been testing around the area for weeks and are “usually accompanied” by another Audi with manufacturer plates. In one of their latest projects Pfaff Tuning has teamed up with Vossen Wheels to create one of the world’s coolest Audi Q5s. And that’s saying something, because the standard Q5 is widely known as a seriously dull crossover. But you can level that insult at Pfaff Audi Q5. 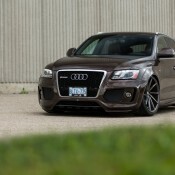 For one thing, Pfaff Audi Q5 is equipped with an ABT body kit with custom aero kit, flared arches, and custom bumpers. That alone lifts the car up to a whole new level of coolness. 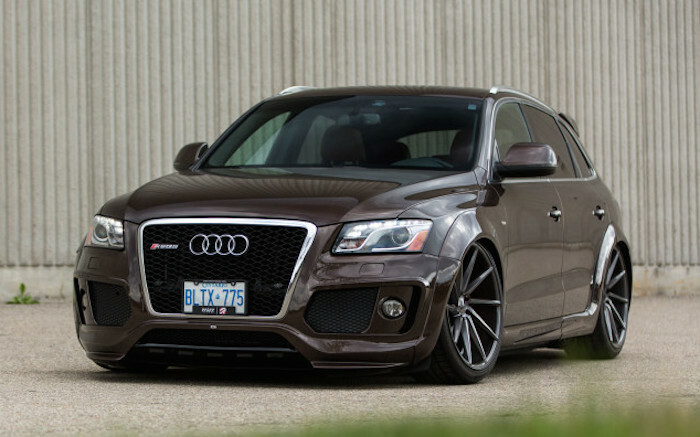 Then there is the special Teak Brown paint job, the suspension modification, and of course, the Vossen wheels. The unique stance of Pfaff Audi Q5 is partly due to the use of Accuair air suspension system, usually found on wide body Liberty Walk cars, and a set of 22×10.5 inch Vossen CVT wheels in Gloss Graphite. 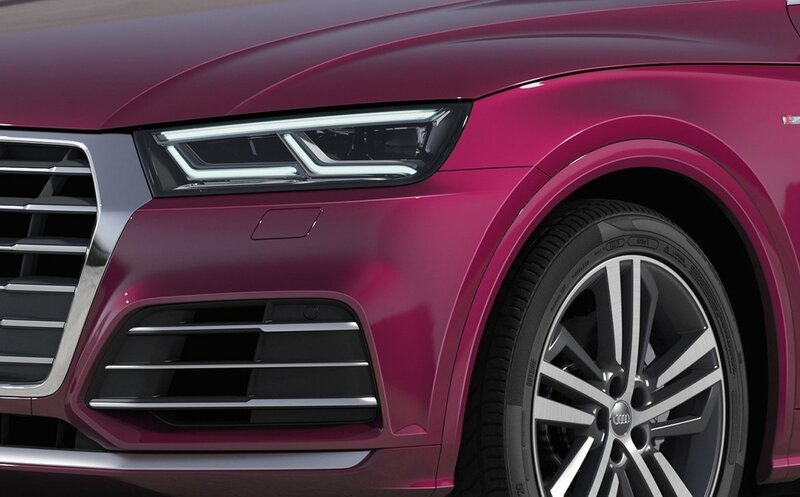 Those rims are the perfect complement for the Q5 in that color. Other features of this one-of-a-kind Q5 include high-performance air intake and exhaust system provided and installed by AWE Tuning. This car was part of a two-part project that also saw an RS5 upgraded with wheels and suspension. The post Pfaff Audi Q5 on Vossen Wheels appeared first on Motorward. 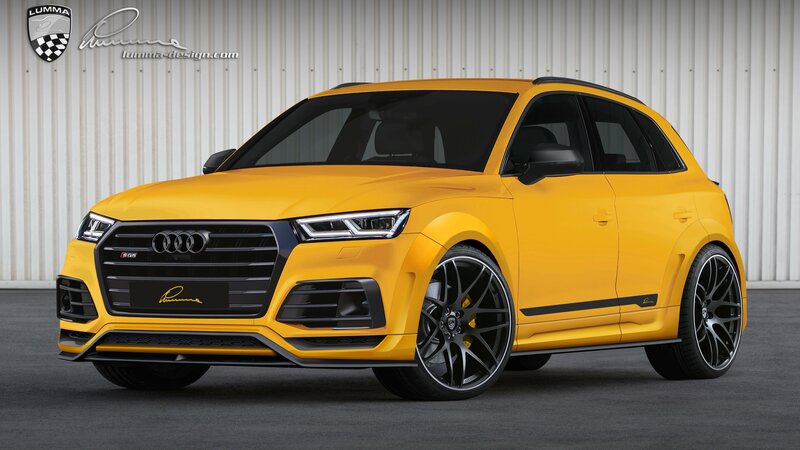 ABT Sportsline has released an updated program for the Audi SQ5 made up of some of the company’s famous aerodynamic kits and improvements on its existing engine modification for the crossover. Back in 2013, ABT Sportsline released a similar kit for the SQ5 that featured many of the same components included in the new program. It may be recycled from a technical standpoint, but since the SQ5 has undergone stylistic changes of its own, this new kit is all about giving the SUV a different and a more up-to-the-times presentation than its predecessor. As usual, ABT Sportsline focused its attention on three things: the body, engine, and the suspension of the SQ5. Each section of the crossover received its own upgrades. 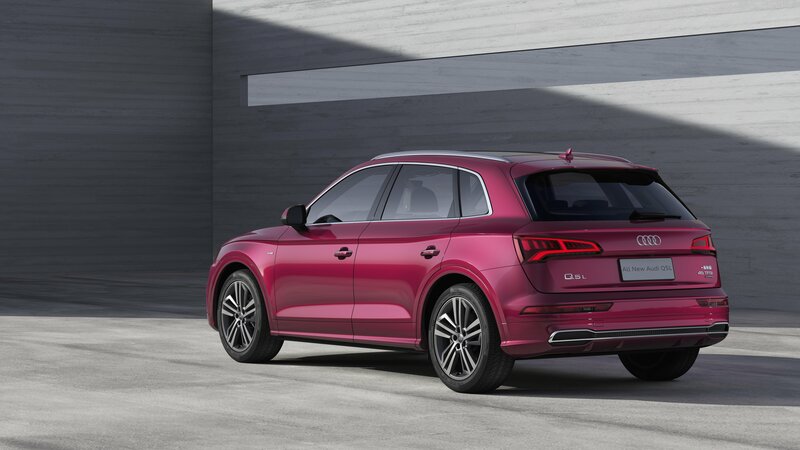 The body, for instance, gets an aero kit that improves the SQ5’s appearance. Likewise, improvements on the suspension provides enhanced driving dynamics. Even the crossover’s new 3.0-liter TDI diesel engine has its own engine modification that pushes its power output past the tuner’s previous modification for the SQ5. All together, the new tuning kit puts the SQ5 in a totally different light. It may still be Audi’s resident high-performance diesel crossover, but all the aftermarket add-ons given to it by ABT Sportsline shows that there are still enough ways to bring more out of the SQ5. The kit itself isn’t going to turn the crossover into something radically different or out of its character, but with all the pieces in place, that might as well have been the reason for the kit. 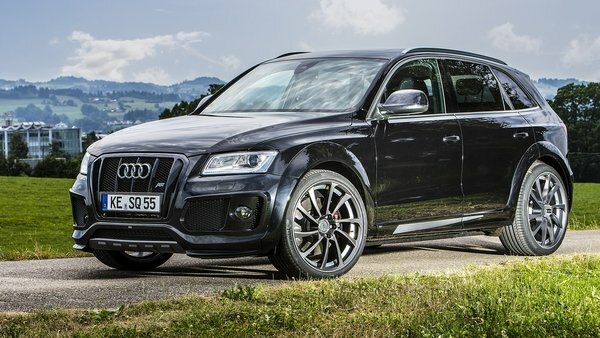 Continue reading to learn more about the Audi SQ5 By ABT Sportsline. Unveiled for the 2017 model year, the second-generation Audi Q5 received the performance treatment at the 2017 Detroit Auto Show. Highlighted by an “S” badge and a more aggressive exterior design, the SQ5 also benefits from all the updates that came with the new-generation crossover, including a revamped interior with new technology. Audi entered the SUV market in 2005 with the Q7, and three years later it launched the Q5. The crossover was developed to tackle the successful BMW X3 and the Mercedes-Benz GLK (renamed the GLC). 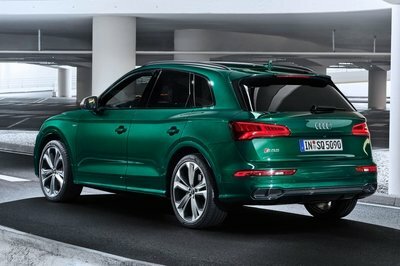 It took Audi another four years to introduce the 2014 Audi SQ5 and bring it to the U.S. with a supercharged V-6 engine. The new-generation model aims to be sportier and more luxurious than its predecessor and its new features, as well as brand-new, turbocharged engine recommend it as a proper competitor for its BMW- and Mercedes-badged rivals. 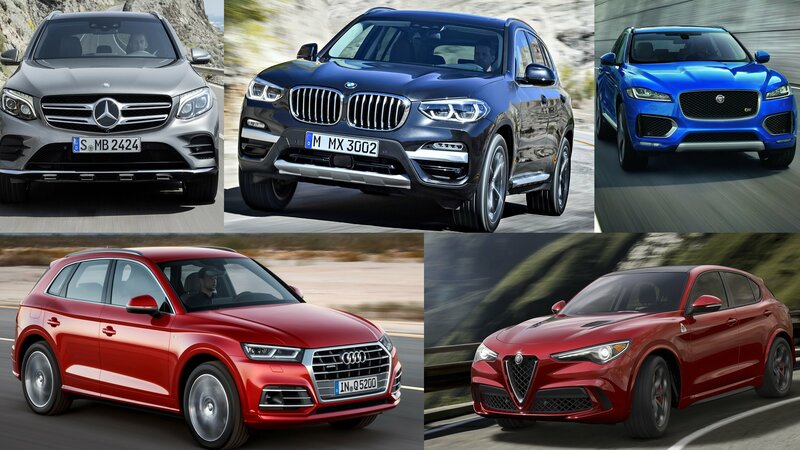 How does it compare to Germany’s finest crossovers? Find out in the comprehensive review below. 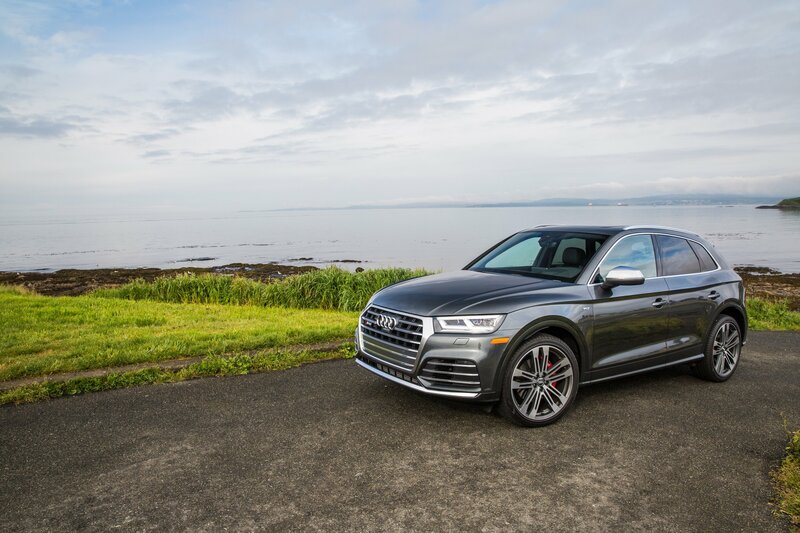 Continue reading to learn more about the Audi SQ5. Audi is no stranger to the crossover game, having the Q3, Q5 and Q7 models in its fleet. Nestled mid-pack is the Q5, a midsize crossover that blends the best of a luxury sedan with the high-riding, AWD nature of a SUV. The Q5 aims to please, offering three engine options and a hybrid model, along with three trim level choices and enough tech to make Bill Gates look old school. Included in the powertrain mix is the potent 3.0-liter TDI, bristling with 428 pound-feet of torque and a very un-crossover-like highway fuel economy rating of 31 mpg. The Q5 got its start back in 2009. Sales started off slow here in the U.S., likely thanks to the sour economic times, but has grown steadily year by year. A facelift for 2013 helped boost sales by more than 11,600 units over 2012. That mid-cycle refresh brought an upgraded interior with refined controls and better materials, along with a revised exterior with upgraded lighting. Things have pretty much stayed the same since then, with the Q5 enjoying sales of more than 40,000 units in 2014. To get an idea of how the Q5 is holding up, I spent a week with it. And more specifically, my tester was the TDI version, complete with its stump-pulling torque and quattro AWD. 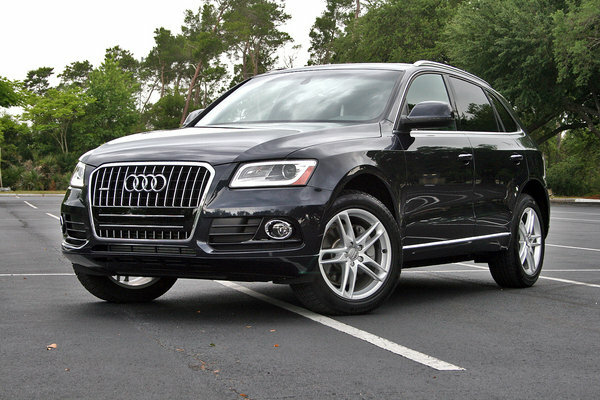 Audi Q5 TDI – Driven originally appeared on topspeed.com on Monday, 20 April 2015 14:00 EST.